Picked fresh from the farm, the Vivacious Luxury Lily Bouquet lights up their heart with this uplifting bouquet of abundant elegance. 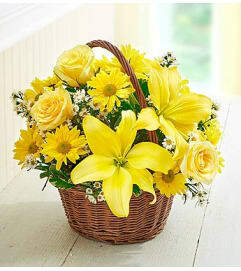 Hand gathered at select floral farms, 20 stems of large and fragrant Oriental Lilies flaunt their grace and beauty among brilliantly bright yellow calla lilies. 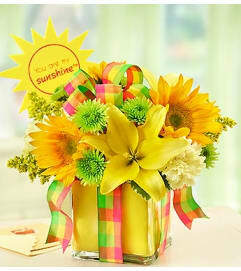 Gorgeously situated in a superior clear glass 14-inch bullet vase, this stunning bouquet has been picked fresh for you to create a spirited expression of cheerful bliss helping you celebrate birthdays, express your thanks and gratitude, or send your warmest get well wishes. 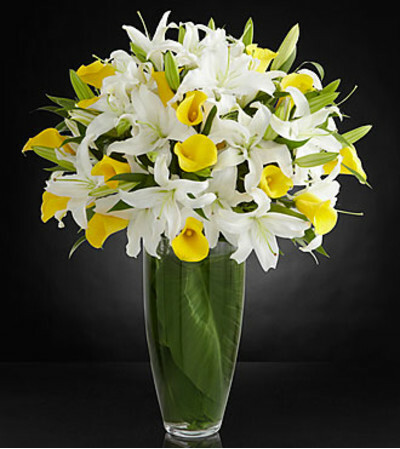 Includes 20 stems of Oriental Lilies, 20 stems of yellow Calla Lilies and a superior 14-inch clear glass bullet vase.